In my 2 years of Fellowship at Azim Premji Foundation, I was lucky to observe the government education system, their policies and the attempts to implement at the school level through teachers.. The constructive skepticism to question the status quo was very much part of my unlearning. During my struggle to balance between the theory and practice, I tried to understand the learner and the learning process through classroom practices at a selected school, Upper Primary School at Rajyawas, Rajasmand district, in Rajasthan. 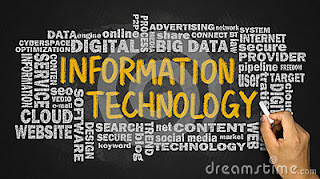 Technology incorporation in the classroom is the theory, development, utilisation, management, and evaluation of processes and resources for learning. 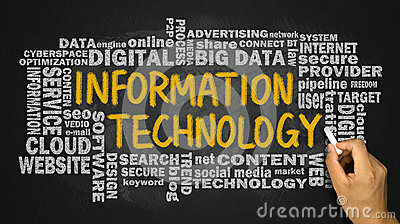 Technology is a broad term that often describes a discipline devoted to techniques or ways to make learning more efficient. It is the responsibility of each educator to provide an educational program that appropriately supports each child's learning development and learning goals. In a technology based society, children must understand and prepare to be productive, independent, creative, and knowledgeable individuals. Having proper access to technology and being able to use technology is essential and will be one of the many skills necessary for future use in the workplace. Technology is a crucial tool that children use to productively carry out ideas, acquire knowledge skills, and solve problems. Technology is both customizable and intrinsically motivating to children; it is compatible to expanding the learning experience. Research on the effectiveness of technology has focused on higher education, but research also suggests that users of specific technology can improve students of all grades learning capabilities as well. Technology has many benefits; it allows student easy access to information, it offers a variety of solutions to problems and it has been used to improve students' grades. Integrating technology in the classroom is beneficial and allows students to be integrated into society as well as providing children with limitless possibilities. However, many educators believe that introducing children to technology is harmful. They believe that technology encourages laziness, can be expensive and that it interferes with children interacting with teachers and their classmates. In order for technology to be properly used in the classroom, educators must invest time and be interested in getting the proper training required to be able to effective in integrating technology and not hindering children from properly learning. Although using technology in the classroom has been debated, globally, incorporating technology in the classroom has been beneficial. Technology occupies an important place with in students lives. When they are not in school, just about everything that they do is connected in some way to technology. By integrating technology into the classroom, teachers are changing t he way they used to teach and providing students with the tools that will take them into the 21st century. Technology changes by the minute, and as Educators we need to keep up with the times in order to best prepare our students for this ever-changing world that we live in. Students prefer technology because they believe that it makes learning more interesting and fun. Subjects that students deem challenging or boring can become more interesting with virtual lessons, through videos. Like everything else, technology can be used for better or for worse. Here are some ways to engage the students better and ease them into difficult to grasp concept through technology. Involve students in creating a little presentation around concept can be a great way. They collect some pictures around them and present their presentation in the classroom can boost their interest. The abstract concept is subject to science, geography is better grasped by using the videos or real-time examples. e.g students are encouraged to record every phase in the lab and then explain what they had done and present to the class their understanding of the concept. Take students to field trips and getting them to document their observations through pictures, movies and presentation encourage them to develop their skills like photography and writing. Allow them to pen down their thoughts and present it with a unique perspective. Students were encouraged to tweet their lesson or post try heir ideas on using a concept innovatively can be a great idea. e.g. students have to collect ideas on their lesson like energy , solar System and collate them to present their ideas. What is good learning? That may be a prejudiced question. But it’s likely that many educators would give answers that fall in the same ballpark… …students collaborating and discussing ideas, possible solutions… …project-based learning, designed around real world contexts… …connecting with other students around the world, on topics of study… …immersing students in a learning experience that allow them to grapple with a problem, gaining higher-order thinking skills from pursuing the solution… To many educators, these notions are music to their ears. Would it seem terribly strange then hear that students indeed are doing these things regularly outside of their classrooms? While Timmy or Susie may not be running home from school saying, “What fun, deeply engaging learning experience can we do today?”, they are engaging with new technologies that provide them with the same opportunities. Every day, many students are spending countless hours immersed in popular technologies—such as Facebook or MySpace, World of Warcraft, or Sim City—which at first glance may seem like a waste of time and brain cells. But these genres of technologies—Social Networking, Digital Gaming, and Simulations—deserve a second, deeper, look at what’s actually going on. ~~~ When you hear “MySpace” or “World of Warcraft,” what do they bring to mind for you? What emotions do you associate with them? Have you heard of them before? Your students have, and they almost certainly have strong opinions about them. You don’t need to be a teenager to use or understand these technologies or to use them in your classroom. Market research data indicates that many a normal, middle-aged adult1 uses these technologies with frequency. The fact is, you can be 17, 35, or 60, and when you begin to engage with them and observe what’s really going on, you can begin to see that these technologies are more than just entertainment. 10 places to intern and get a good stipend. Need more pocket money for those weekends out with friends? These paid internships might just be what you’re looking for. 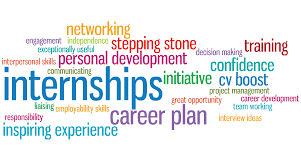 ​Internships are not only a fun way to gain work experience and spend your free time productively but also a good way to earn some pocket money. The money brings with it a certain degree of self-satisfaction as well. Well, you worked hard and earned your own money. If that isn't an ego-booster, I don't know what is. Moreover, it adds that much-needed zing to that golden document we call the CV. There are several organisations looking for interns out there. Before you pick one, give it some thought. Ensure you're absolutely interested in doing what they're asking of you. Doing it just for the money is not such a great idea. Also, ensure that you fit their eligibility requirements as some organisations require certain specific skills. Do some background research on the organisation that you would like to intern with. Try and figure out their aims, goals and priorities and determine whether these are in line with yours. It might also be useful to speak to somebody who has already interned with the said organisation, or even with a current employee of that organisation who might be willing to speak to you. 1. Fundamentals: The time frame, duration, nature of the work and location of the program. How many hours and days of work would you have to invest? Are you looking for a virtual internship or one that necessitates your presence at the organisation's offices? 2. Meaningful work: "The primary objective is to learn, both about the business in general as well as to acquire the specific skills necessary to function effectively in the industry." Here are five steps to help you achieve success in every Endeavor. This may not ensure that you never face any problem, but can help you remain focused to rewards your goals. Reach for the Stars- Think of your targets as a journey. Half the fun of achieving a goal is the passage. Set your self a root with some challenges.Getting bored before you reach the end of the journey will surely take you off track. Like they say 'When you reach for the star a, you may not quite get them , but you won't come up with a handful of mud either'. Plan Well- The future belong to those who believe in the beauty of their dreams. But it is necessary to chalk out a plan to achieve the goal. Sit-down and introspect till you are able to chalk out a plan that is realistic and achievable in the near future. Rely on your institution- If you are stuck in situation where you are confused and have lost all sense of direction , simple move back and stop thinking about the thinking about the situation. Your instinct will tell you what your eyes cannot see and guide you even when your mind cannot understand. No matter how hectic or difficult your life, is keep your mind clear and your goal before you. As Deepak Chopra says' In the midst of movement and chaos, keep stillness inside of you.' Distance yourself from everyday occurrences that can demotive you. Your long term objectives are what matter and you must be focused to achieve them. Classroom learning decides whether a kid develops the curiosity for a subject or withdraws from it. This impacts the profession and career choices a kid makes in life. 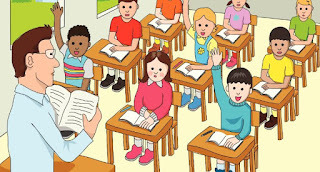 A kid who is once disinterested toward a subject inside the classroom, cannot be motivated easily later. A kid must be truly engaged in the classroom learning and, every experience is important to sustain their curiosity. A classroom would have kids with the different level of abilities. For a teacher, it is a big challenge to keep the gifted, average and below average kids glued to the lesson. Every kid must feel they are getting something out in every lesson. This is why differentiated learning works for groups of kids inside the classroom. I always felt the need for such tech since student life. From my personal experience, I was very much engaged with lessons in computer science. But the dis-engaged teaching in introductory electrical courses literally scared me away from those subjects. That made me forgo academic opportunities in electronics. The teacher must accurately know the learning pulse (not just numbers) of the individual kid as lesson progress. The teacher should have the capability to push custom content and challenges to cohorts of students in a simple fashion. Classroom app from Crayon School (link) is a must have the technology to assist teachers and students reach their learning goals. Classroom app is a smart learning assistant, to improve classroom engagement and push custom content to cohorts of students based on their pulse inside the class. Sam (like every kid) is cool and smart outside the class but is passive, confused and bored in academics. Sam is shy or unable to express his queries, thoughts, and has inadequate opportunities to speak out or communicate with the teacher. Sam has the desire to be smart and active in classroom academics, and be part of the “cool student group” in school. How can Classroom app help Sam? Anita is a teacher who spent efforts to prepare a lecture (say algebra) and wants to see that all of her students understand the topic correctly inside the classroom. Usually, her classroom goals are not achieved, as she is unable to measure the individual pulse of each student and distracted students in class amplify the problem. How can Classroom app help Anita? Anita can now teach to highly interactive and receptive students in class. By gauging the “pulse” of the students, she moves closer to her personal goal of delivering optimal learning outcomes. Anita can see the improved learning outcomes by seeing more engagement and accurate responses for quizzes posted during lecture. Please drop an email to swamy@ayatilabs.com for more inputs.